Truth be told, until recently I couldn’t have taken a photo like this because I let the back of the hedge get awfully overgrown several years ago, when I wasn’t paying attention. 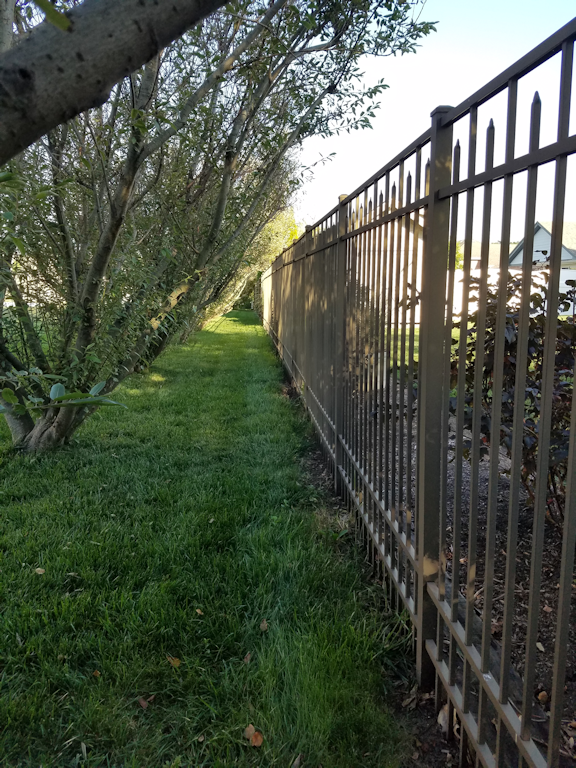 Branches crowding up against the fence turned my husband’s chore of mowing the lawn into something like a jungle adventure. Then we had two icy cold winters followed by a warm winter and a drought, which stressed the willows enough that some of the older branches started dying back. 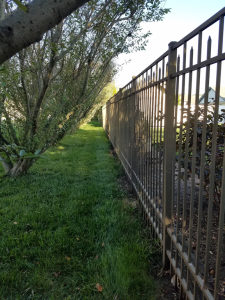 I pruned off a lot of dead stuff last summer, but it wasn’t until this year that I got the hedge in good enough shape so that my husband could easily walk behind it while pushing the mower. With plenty of open space, it looks much better now. Getting rid of clutter and keeping things in their proper place is just as worthwhile outdoors as it is in the house!